Newspapers & magazines are full of articles on the huge quantum of national wealth stashed in Swiss banks. The figures range from US$1.4 trillion to $500 billion (a figure quoted by CBI in its response to Supreme Court in July 2011). The government’s response to curb this menace has at best given knee jerk responses or just attempted to ignore it with a hope that it would just go away. Almost all Indians without hesitation will agree that Indians are basically corrupt. 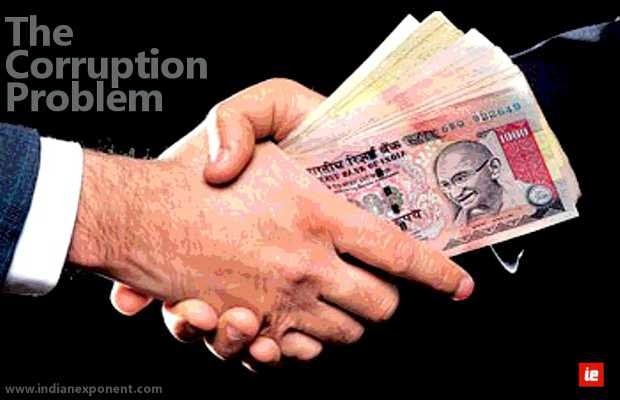 This gives rise to few question like – Why are we corrupt? How to reduce if not rid this menace from society? Corruption translates in Hindi to bhrashtachar (भ्रष्टाचार). Bhrashtachar literally means ‘one with loose moral values’. While stake to moral values is often claimed by the religious, we should understand that morality is not theirs alone to uphold or use. The concept of Karma – good deeds begets rewards and bad deeds beget punishment. This concept is not just found in Hinduism but in many other religions as well. It is well known that many Indians will not think twice before performing pujas in order to remove any perceived blemish in their horoscope in the hope it would help please the god/s. However we have taken Karma concept to the next level tempting god/s with cash/ kind offerings. Not just for favors rendered but also in anticipation for an out-of-turn earthly reward. In the secular world such a transaction would be simply called a “bribe”. E.g. in June 2009 newspapers reported Karnataka minister Gali Janardhan Reddy gifting a diamond encrusted gold crown worth Rs 45 crore to Tirupati Temple. There was also news of an ardent devotee of Sai Baba having donated a Rs18 lakh gold throne to the Shirdi Temple in 2010. There are many Indian shrines that collect so much wealth that they don’t know what to do with it. Indian moral culture easily accommodates such transactions without stigma. Indian culture gives godly status to those in positions of power. Why else in days of old we considered kings having their lineage linked to the sun & moon gods – Suryavanshi/ Chandravanshi? Even today a woman is expected to treat her husband as a god (patidev). Combine position power and power of karma – and it explains why the power of granting a boon (political favor) by the neta (government) results in generating utterly corrupt politicians. The caste system and linguistic divide ensures Indians do not see themselves as one. We do not inherently believe in the moral compass of ‘treat others as you want others to treat you’ but in a Vedic religion which demands adherence varnasrama-dharma, the division of society into four spiritual orders of life and four social classes. 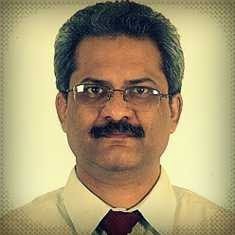 We glibly state that all Indians are equal but in reality we don’t believe it. The result is that Indians don’t trust one another. Hence, there are no Indians in India. There are Brahmins, Kshatriyas, Baniyas, Shudras, Backward Castes, Scheduled Castes, Scheduled Tribes and what not but no Indians. There are Marathis, Gujaratis, Bengalis, Kashmiris, Tamilians, Malayalis, etc. but again no Indians. To top this, we are divided by religion. This linguistic-religious-caste division has evolved into an unhealthy cultural competition. Inequity within culture and strong desire to be upwardly mobile anyhow, results in an easily corruptible society. In India most people form groups on considerations of language-religion-caste. It is this cultural affinity that generally helps members find support and sustenance. In its most refined form one would find it in the advertisements on matrimonial websites and Sunday newspapers. Cruder forms often manifest as jokes belittling a community not ones own. Indian culture teaches us that there is no harm in telling a lie for the benefit of another – “Kisi key bhala key liye jhoot bolna mey kuch bura nahi ( किसी के भला के लिए झूट बोलना मे कुछ बुरा नहीं)”. In Mahabharat, Drona was invincible as long as he held a weapon. Krishna justified lying to Yudhisthira, who could not lie, as a necessity to obtain victory in a just war. The plan was to have an elephant named Ashwathama killed. Incidentally Ashwathama was also the name of Drona’s son. When Drona approached Yudhisthira to learn the truth, Yudhisthira gave a cryptic response “Ashwathama hathaha iti, narova kunjarova” (Sanskrit: “अश्वत्थामा हतः इति, नरोवा कुंजरोवा…” meaning “Ashwathama is dead; I am unaware if it was a man or elephant”). Yudhisthira uttered the first part loudly and the balance too softly for Drona to hear. Drona overcome with grief that his son was dead laid down his weapons. Then as per Krishna’s plan Dhrishtadyumna beheaded Drona. We therefore have no moral qualms in telling lies in the belief that we are only selflessly helping others. There is no dearth of cases where false caste certificates are made out to gain access to quotas, falsehoods told to help friends gain commercial contracts, false statements made in courts to help wealthy patrons gain favorable judgments, etc. Careful reading of Indian history tells how important cities and kingdoms were captured after guards and commanders paid off. Fighting isn’t needed when bribing can win battles. Any invader willing to make a deal with a corrupt minister or commander could conquer kingdoms, no matter how many tens of thousands soldiers were there in enemy camp. After Robert Clive agreed to a deal with Mir Jaffar, the army of Siraj ud-Daulah easily capitulated to a small army of 3,000 lead by the British at the “Battle of Plassey”. It is said that the impregnable Golconda was captured in 1687 after the secret door was left open on account of a quid-pro-quo deal. Malik Jiwan whose life had often been saved by Dara Shikoh had no moral problems in betraying Dara (and his second son Sipihr Shikoh) to Aurangzeb’s army. There are many other cases where Indians participated in treason through bribery and quid-pro-quo. Our culture teaches us to worship wealth (Goddess Laxmi). It is customary for a person accidentally touching money with a foot or dropping it on the floor to follow it up with a gesture of apology – where the offending person first touches the object with the right hand finger tips and then the forehead and/or chest. Goddess Laxmi is considered manifest whenever wealth is made available. Hence we Indians generally consider refusal to accept money as refusing entry of Goddess Laxmi in our lives. It is deemed to be ill omen. So when one is paid extra (tip/ speed money/ bakshish/ chai-pani/ upar ka paisa/ etc.) for performance of one’s duty there is only a superficial hesitancy to accept it. People are smart and know that this extra payment is what makes for faster throughput or their work would get lost in piles of files. We Indians show not much hesitancy in receiving payment since it ensures we do not hurt our Goddess of Wealth. While it is easy to make a case for improving moral values in Indian society, personally I don’t think it is doable or even necessary. Moreover the moral argument assumes that it is possible to get all people on the same moral compass. We all know that this well neigh impossible. Hence co-opting of sants and saffron babas suggests dependence on an impossible solution. 1. Corruption is a significant reason for rise in prices since no businessman in his right mind will ever absorb the cost of corruption. In other words, cost of corruption necessarily has to be born by the consumer. 2. Corruption does now allow the true value of the product/ service to be known up front. There is no formula that permits business to logically include cost of corrupt practice in the determination of the final sale value of the product/ service. From an economic point of view, corruption broadly takes two forms – one form allows the money to remain in the country and the other where the money moves out of the country. 1. We are all familiar with the former since this is the type of corruption all of us have indulged at some point of time in our life; e.g. when we pay the local cop to ignore a traffic violation or pay speed money to get a particular file moving faster through the bureaucratic channel. This type of corruption while petty in nature is not necessarily small in value since some transactions, like sale/ purchase of property leads to generation of black money in tens of thousands if not tens of million. I would call this ‘cash value’ type of corruption’ or CV corruption. In CV corruption the black money generated remains within the country. May be it is not circulated since it may be hidden in cupboards, mattresses and locked steel trunks. 2. The other kind of corruption is the one where the monetary transaction is ‘mega’ in size. Since the value of such black money is huge (typically in hundreds or thousands of crores). The only way such transactions are managed is largely by way of bank transfers of money or by exchange of ownership of shares in high net worth companies or by way of under/ over invoicing. This kind of corruption I would call as ‘bank value’ type of corruption or BV corruption. In BV corruption the black money generated generally moves beyond the country’s border so that tracing / tracking and getting the money back is made difficult (if not near impossible). 2. GDP (Gross Domestic Product) is the sum of all the income or expenditure in the county. GDP is nothing but the speed with which money flows from one person to the next as clarified in the 1st economic axiom stated above. Zero circulation of money equals Zero GDP. Keeping the above two economic axiom, we can easily infer that ‘bank value’ type of corruption is not beneficial for a country since such money is no longer available within the country for circulation and thus to increase GDP. Conversely ‘cash value’ corruption is “better” since such black money still remains within circulation of the country’s borders and continues to be available till it is taken out of circulation either by way of conversion to gold or sent overseas. Assuming that the investigative bodies are able to swiftly investigate and judicial systems swiftly and suitably punish those caught in BV kind of corruption; it would cause a significant and salutary effect on those wishing to or actually indulging in CV kind of corruption. Once the big fish are caught and punished the fear of being caught would automatically percolate to those indulging in CV kind of corruption. We know that cross border terrorism cannot be handled by states or by different law enforcement agencies. We need a centralized database/ centralized agency to deal with intelligence and operational enforcement to tackle the menace of terrorism against India. Similarly we cannot deal with BV type of corruption in a piece meal manner. It needs to be dealt by using centralized databases and centralized agencies getting together. Databases of different agencies like RBI, Income Tax, Customs, SEBI, Banks, Enforcement Directorate, Economic Offences Wing, etc. needs to be put together in a manner that would help in data mining using business intelligence techniques in order to get the desired results. Since the objectives/ mandates of RBI, Income Tax, Customs, SEBI, Banks, Enforcement Directorate, Economic Offences Wing, etc. are not entirely focused on corruption, we may need a law that supports a new or an existing agency to deal with this with a mandate to collect central data from various agencies and use it for prosecuting the corrupt.